Has your company made plans to exhibit at its very first overseas trade show? Congratulations! Are you scared or anxious? You should be. Dipping your toe into international trade show waters can be as nerve-racking as it is exciting. Learn how to sidestep these common first-timer mistakes and you’ll be on your way to a great foreign exhibit experience. Compared to domestic exhibiting — where trade show managers focus primarily on booking the booth, getting the exhibit shipped, and making travel arrangements and hotel reservations for sales staff — international exhibiting can be a dauntingly complicated process. Successful overseas exhibitors understand the importance of creating a realistic timeline, preferably one that includes plenty of time buffers and lots of Plan B alternatives for when things go wonky. Contact an international freight forwarder as soon as you’ve been notified about the show. Experienced freight forwarders are aware of all the local holidays in the hosting country where you plan to exhibit, so not only can they help flesh out your shipping timelines, but they can also advise you of imminent delays and possible workarounds. For first-timers on the international trade show circuit, planning needs to begin six to seven months in advance of the show. And if visas are required (as discussed below), you can expect to tack on one additional month. When traveling abroad, American businesspeople naturally expect to be exposed to different languages, different types of currency, and different units of measure. But one area that often stumps first-time international trade show managers is the difference in trade show terminology. For example, what we in the U.S. would call an exhibit or a booth is instead referred to in Europe as a stand. Likewise, a hanging sign or overhead structure is called a flying sign, and your trade show display header is known as a fascia. In addition, while American trade show venues offer exhibitors their choice of in-line displays, peninsulas, or island exhibits, international shows will generally describe their exhibit spaces as either space only (also known as raw space), a shell scheme space, or a pavilion. Planning for an international trade show involves more than just the logistics of reserving a booth, building an exhibit and getting your sales team to the venue and back home again. In some cases, exhibiting abroad requires completely reworking your packaging, as well as the wording of your marketing and branding statements, to avoid offending business owners and show attendees in the hosting country. Black, white, yellow and purple are often associated with funerals in Japan (purple in Brazil and yellow in Mexico). Red and yellow are considered lucky in China. In many Asian countries, “four” denotes death and should be avoided, including products packaged in fours. “Seven” and “eight” are lucky numbers. Obviously, you can’t change your company’s branding colors to please a foreign country, but if you’re serious about obtaining new business in a country where decision makers might find your color palette objectionable, you could try building a special display using a grayscale or neutral color scheme instead. Failing to account for the time involved in applying for and obtaining a visa for a foreign country can spell disaster for your sales team, especially if you’ve already reserved and paid for your booth. The U.S. State Department can advise you on the usual turnaround times for obtaining visas from specific countries. American companies exhibiting overseas must pay sales tax, just as they would here in the U.S. The two types of taxes in question are VAT (Value Added Tax) and GST (Goods Services Tax), and rates range anywhere from 10% to 27% in Europe. The good news is, if your show is in Europe, Asia or Australia, you can actually get that money back by filing a claim for a refund. Some of the larger trade shows actually offer an in-house refund service to international exhibitors, so be sure to check your exhibitor contract or manual for documentation on that. Likewise, if you plan on hiring an overseas exhibit builder, be sure to ask if they plan to charge VAT or GST tax on your project. Note that each hosting country has their own specific deadlines for filing sales tax refund claims. 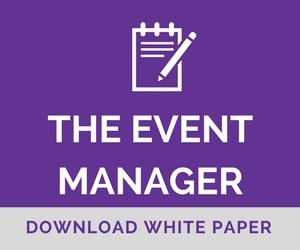 Check with show management or your exhibit supplier for key filing dates. Whether you’re planning to ship an existing display from the States, or you’ve decided to rent or build one in the hosting country, it’s important to remember that there are plenty of experienced folks — both in the U.S. and abroad — who are willing to help you navigate this unfamiliar territory. For your first international trade show experience, hiring an external trade show management firm might be the best way to go. They can do a lot of the heavy lifting, act as a second set of eyes and ears with regards to overseas vendors, and help keep your timeline on track.